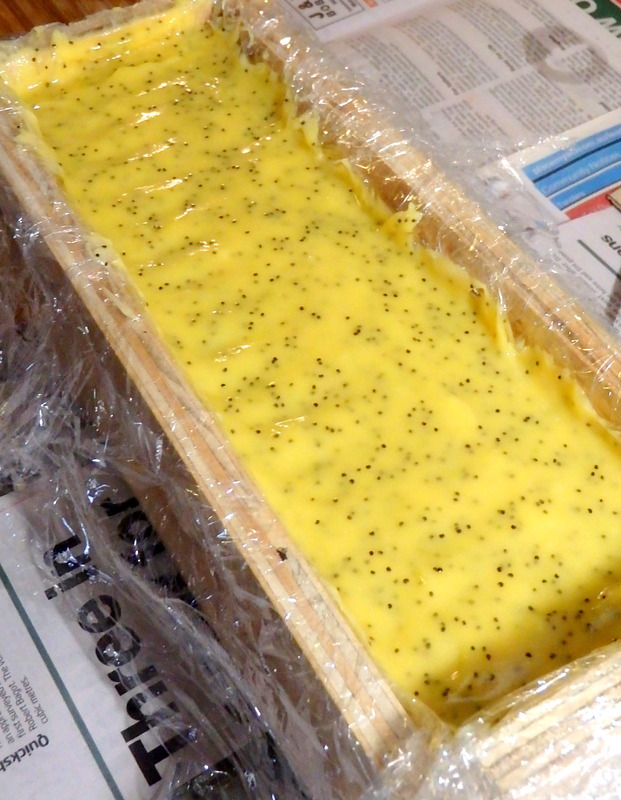 Kim and I have been honing our soap making skills for an upcoming workshop that we teach. Part of the class is using botanicals in soap making. We have been practicing some advanced soap making techniques that we will be demonstrating in class. Perfect practice makes perfect! Being the amateur chemist in the family, I get to put these together, and Kim invents the designs. After having received numerous requests by alumni of our basic soap making course, we decided to up the stakes and teach more advanced soap making techniques during the new class. The demand is certainly there, so we have been busily developing new course notes and making up samples/examples. 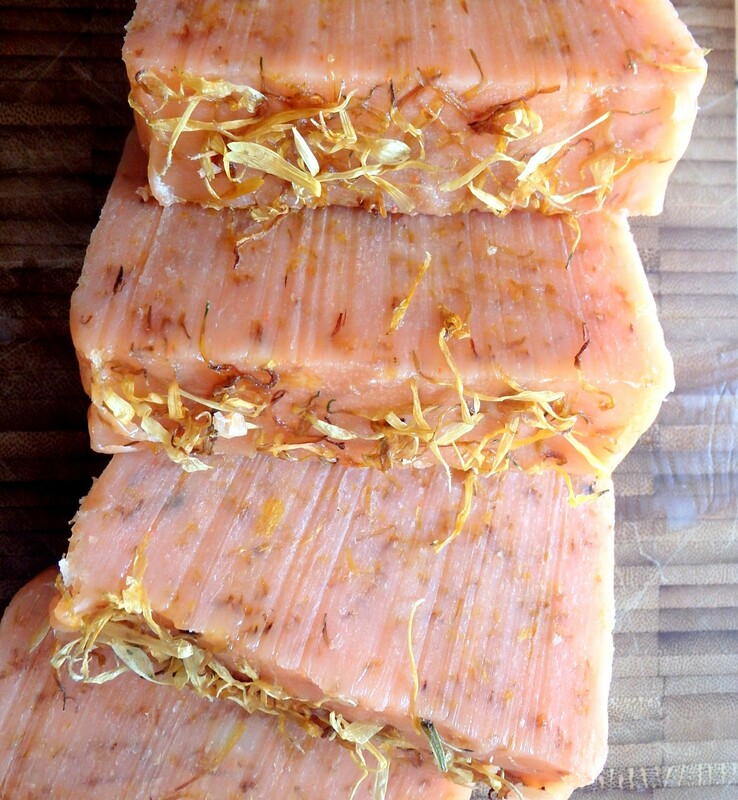 Additionally, our students will be shown how to include botanicals and exfoliants into their soap. The students of this class will also make their own 1kg block of soap. We are very excited to be adding this course to our repertoire. 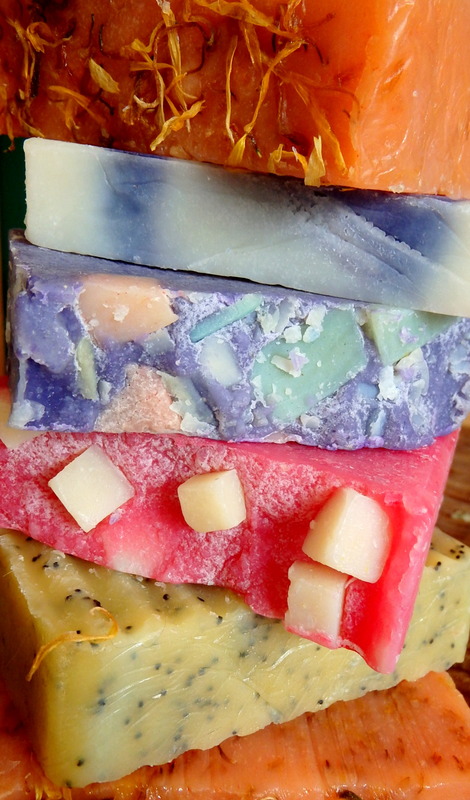 The only caveat is that only students who have been on our basic soap making class can attend the advanced class. Our reasoning behind this is because we need them to know how to make soap already, so that we can focus specifically on the techniques. Once they have been taken out of the mould and cut into bars, they look like this. The original orange colour softened a lot once it had hardened. We may have to add a little more colour if we want the bright shade, but I think that Kim is very happy with the result. 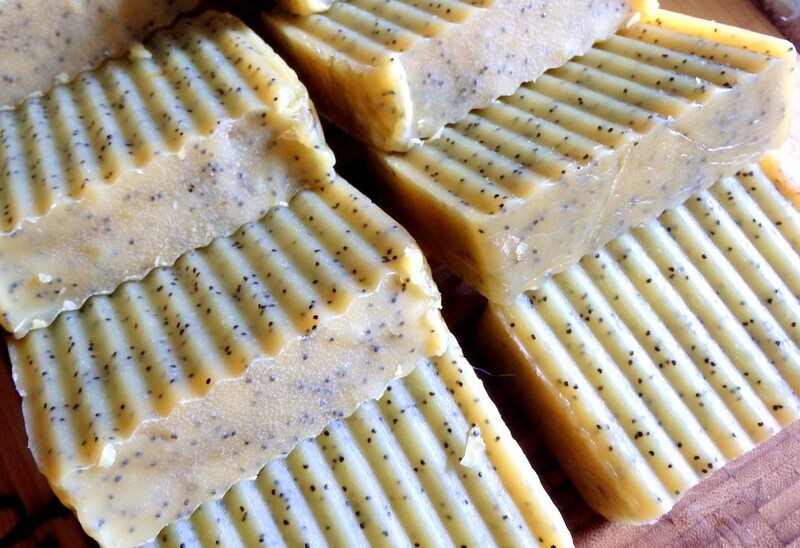 The Lemon with poppy seeds look fantastic and it is one of the most practical soaps we have ever made. I love it! Kim used her new corrugated cutting tool to make the edges. Both of these soaps smell heavenly. Good enough to eat, except I wouldn’t. If you are interested in attending one of our classes, you can find the course details here as well as all the current information about our beginners soap making classes (which is a prerequisite). We now teach at Melton South and Hillside community learning centres, covering the west side of the Greater Melbourne area. We both enjoy making and using our own soap. I use it daily, including the lather for shaving (with my little brush) and in place of shampoo. It certainly beats having to buy any of these toiletries, saves me a small fortune, and at least we know exactly what is in it. 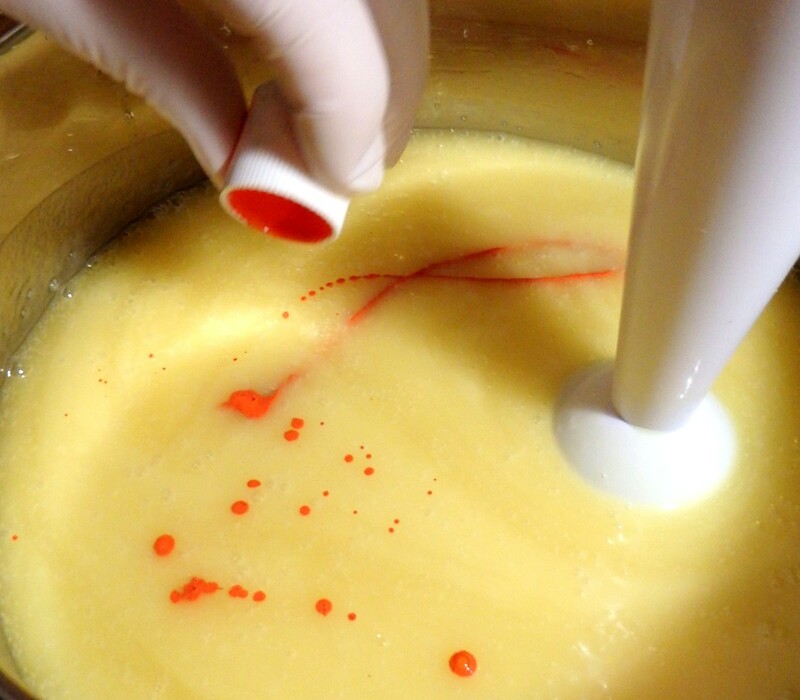 Do you make your own soap? Do you experiment with any of the techniques that I have mentioned or do you just like to keep it plain? 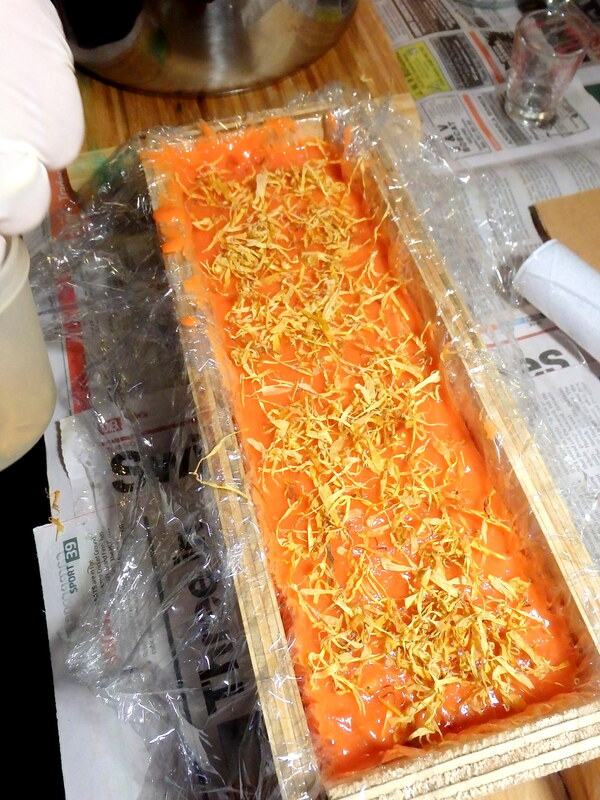 This entry was posted in Soap Making. Bookmark the permalink. Our blog is where we share current events, business news, and product developments.